The project focuses on the Peulh/Fulani pastoralists of Seno Province in the Burkina Faso's Sahel region, the driest region of the country. Sahelian agro-pastoralists communities, practice transhumance, moving people and animals in search of water and pasture. Fulani read the stars to inform both their farming and pastoralist endeavors. The stars help determine the beginning of the crop season. At the time of the year when the stars have the shape of a hoe, the community starts preparing fields for crops. Years of drought have become more frequent and more severe leading to heavy animal losses, the disappearance of pastures and the rapid depletion of retained water. The increasingly late onset of the rainy season and the prolonged ‘lean season’ affect the animals and therefore the pastoralists. The project aims to strengthen capacity of communities in their dialogue with national weather services, at the same time, it will help improve dialogues between the pastoralists and farming communities, and it will look at technologies such as community radio as a means to share and disseminate forecasts. The project proponents are traditional leaders of their Peulh community. 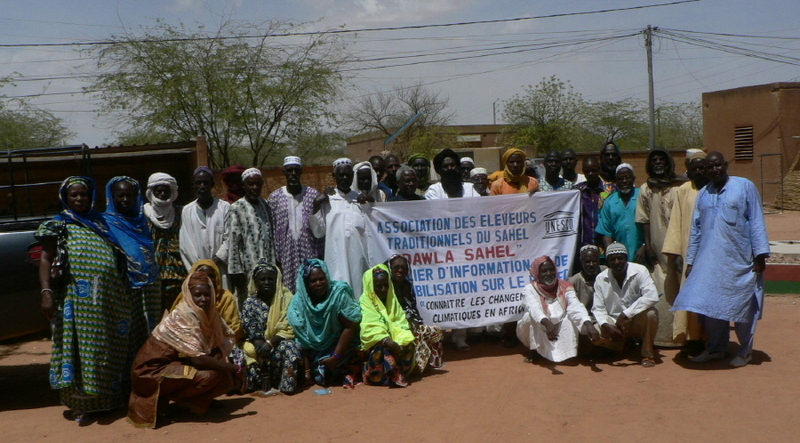 As president of the Sahel Traditional Breeders Association (Dawla Sahel) and as part of the Burkina Breeders Federation (FEB), the main partner has over fifteen years’ experience bringing his community together with climate scientists and the National Weather Service, including via the West African Seasonal Forecast (PRESAO) initiative.